I had already travelled by helicopter but I always knew JT wanted to fly by chopper and for his birthday I wanted to surprise him and give him a great birthday present. So for JT’s birthday, I accepted the kind invitation of Jay Minter, Director of Marketing and Product Innovation at Helijet International (also known as simply Helijet) and flew to Victoria. When I first looked into taking the Helijet, I will fully admit that I had already flown via Harbour Air and Salt Spring Air. So I had already experienced float planes. But I hadn’t experienced this type of business-oriented air travel by helicopter. Considering the cost of my hourly rate, if someone needed me to undertake a speaking engagement in Victoria, it would be in their best interest to have me fly with Helijet. Our trip was extraordinarily comfortable, and extremely fast. Without a doubt, it was a 35 minute trip downtown Vancouver to downtown Victoria. It’s not the first time I have considered taking the Helijet and it will definitely not be the last. I am 100% sure that for Social Media Camp Victoria 2011 I will be taking the Helijet, because I will be unable to travel the day before, and I will need to be there early in the morning. And the money I will pay will be worth it, every single penny. I took video from our take off in the flight from Vancouver to Victoria (bear in mind this was taken with a Canon SD 1300 so it’s not absolutely stellar and it doesn’t justice to how smooth travelling on Helijet is). It’s hard to believe that Helijet is such a young company (founded in 1986). My good friend Erica Hargreave and I drove past the Richmond terminal for Helijet this past weekend. The terminal looks pretty impressive, I’ll admit. And again, the customer service at Helijet is beyond amazing. The customer service representatives I dealt with were absolutely stellar. I will definitely be back, Helijet! Disclosure: My trip to Victoria and back was sponsored very generously by Helijet International Inc. I wasn’t paid to write this review, nor was I required to do so either. 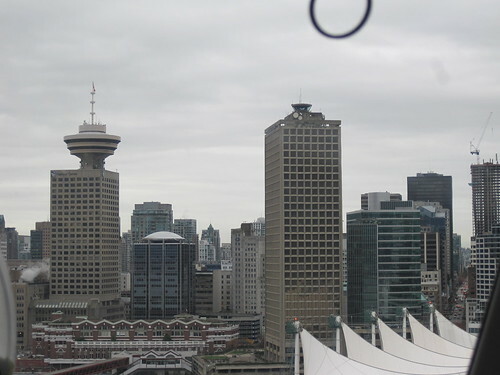 The purpose of this blog entry is just to describe and document my experience with Helijet’s service, and as indicated above, I would any day pay for the service. In any review I write or publish on my site, I retain editorial control at all times. Should you have any questions/concern feel free to contact me via e-mail through my contact form. I’ve always wanted to fly with Helijet, but being a student I cannot afford any of their flights, even though short little tour of Vancouver from above. What a neat way to get to the island though! 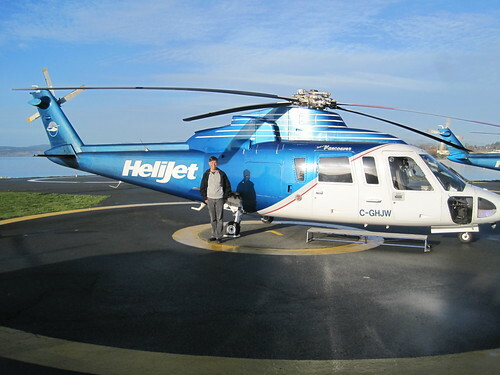 Very glad we (Helijet) could contribute to your special day! Thanks for joining us!